This installation was commissioned by the Brookyn Botanic Garden for their centennial celebration. The theme was “Bee Day” (because it was their bday). 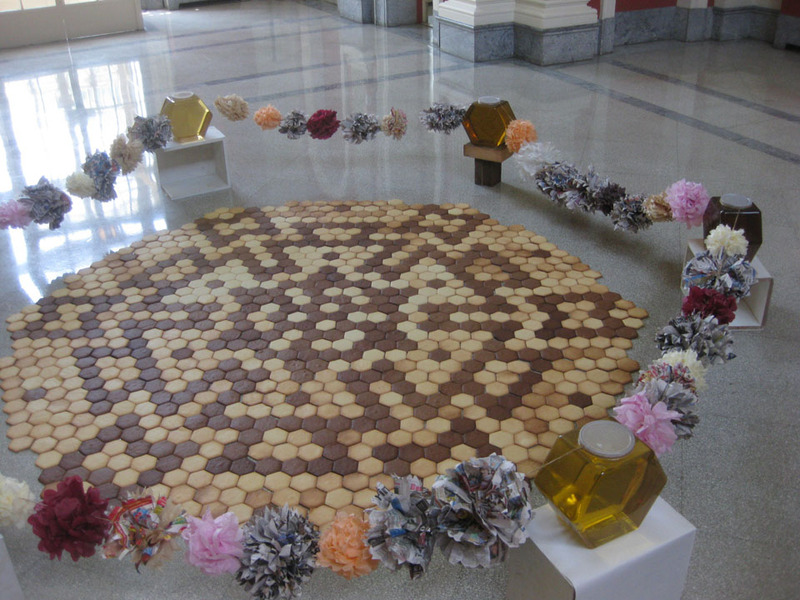 This sculpture was made up of nearly a thousand sugar cookies and fifty paper flowers. It honors the hexagonal geometry created by bees and commonly found in old floor tile patterns of Brooklyn. 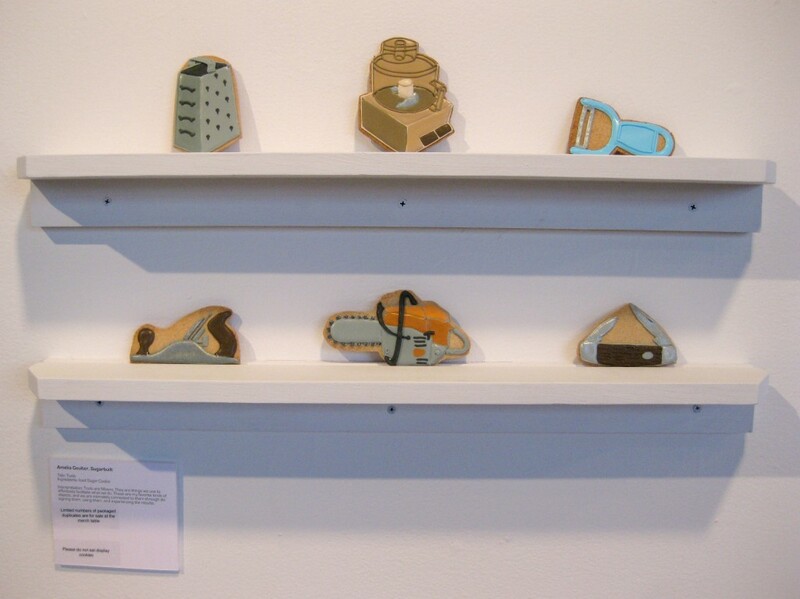 These “bladed tool” cookies were exhibited as part of the food art section of the Last Supper Festival in Brooklyn, New York. Fall 2009.